If you’ve just finished your Spring Cleaning, and you’re looking at a pile of junk that just needs to be gone…wait! Don’t have it hauled away. 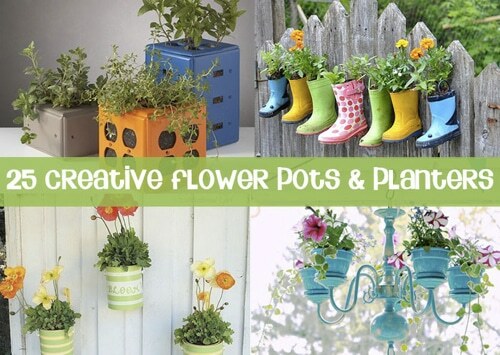 Check out these 25 super creative DIY flowerpots and planters. Old tires, type writers and Crocs are just a few of the amazing and attractive uses for your old stuff. How about galoshes, soda bottles or used colanders? You’ve got to see the pictures to believe it…and then, get inspired!